Development and conservation are perhaps the two most sought-after outcomes in sustainable interventions in the Congo Basin. Often, both goals appear competitive and even irreconcilable. But economic development and conservation are not necessarily conflicting notions, experts say. At the ongoing 16th meeting of partners of the Congo Basin forest, actors are trying to identify approaches to achieve both development and conserving goals at the same time. The development of industrial palm oil plantations in the Congo Basin has been a major contentious issue in the region with one school of thought arguing that it devastates biodiversity and another arguing it creates jobs, schools and hospitals. Photo credit/John C. Cannon. The Congo Basin forest is increasingly threatened as development needs of member countries surges. If urgent measures are not put in place to tackle the economic development needs of the growing population and the conservation goals, the situation is likely to worsen, experts have warned. The Congo Basin forest which holds more than 25 billion tons of carbon and thousands of animal and plant species is today impacted directly and indirectly by industrialization, with palm oil plantations taking the lead. “We need to step out of the conservation box and work with the different stakeholders to balance environmental needs with socioeconomic requirements,” pointed Jef Dupain, Central and Western Africa Regional Director of the African Wildlife Foundation. 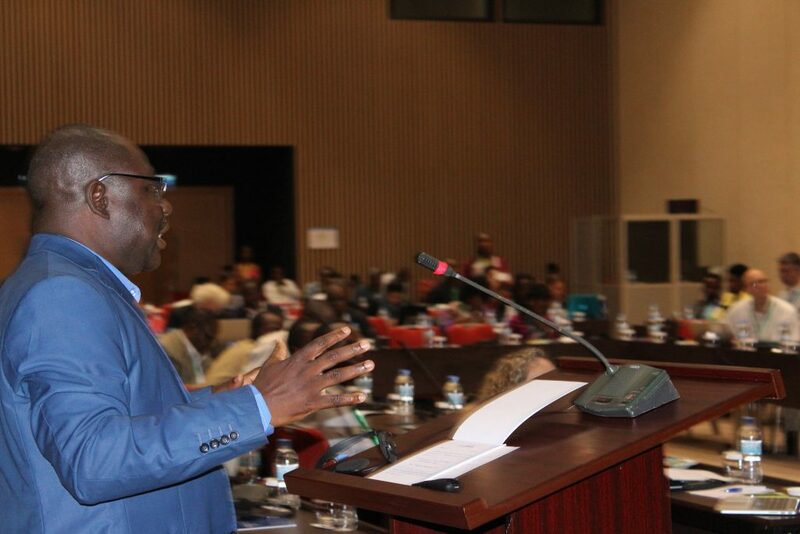 Speaking at a panel discussion on industrial agriculture and Apes Conservation at the Congo Basin Forest Partnership meeting in Kigali, experts agreed there was a need to guide development actions and encourage best practices for sustainable resource conservation. 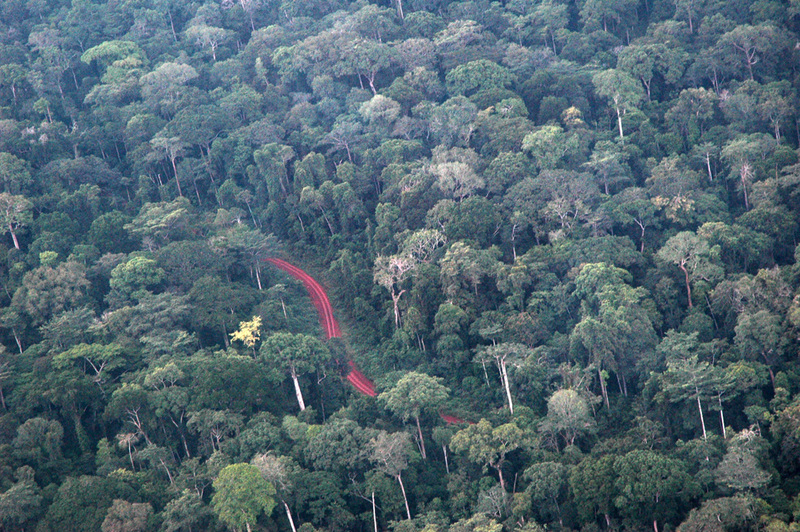 Logging roads have also been a sticky issues in the Congo Basin. Conservationists argue that it destroys natural habitats, resulting in the loss of biodiversity and sometimes leading to the local, and possibly global, extinction of species while the logging firms argue, they are mainly designed to extract wood legally. “The expansion of industrial palm oil plantations into the habitat of endangered animal species like apes in the Congo Basin forest including the Democratic Republic of Congo is is a reality,” said WWF’s Bas Verhage. These discussions were held against the backdrop of the publication of the second volume of the book “State of the Apes: Industrial Agriculture and Ape Conservation,” by Arcus Foundation. The book examines the interface between ape conservation and industrial agriculture in the Central and West Africa and notes that Ape habitats like that of other species in sub-Saharan Africa are severely threatened. 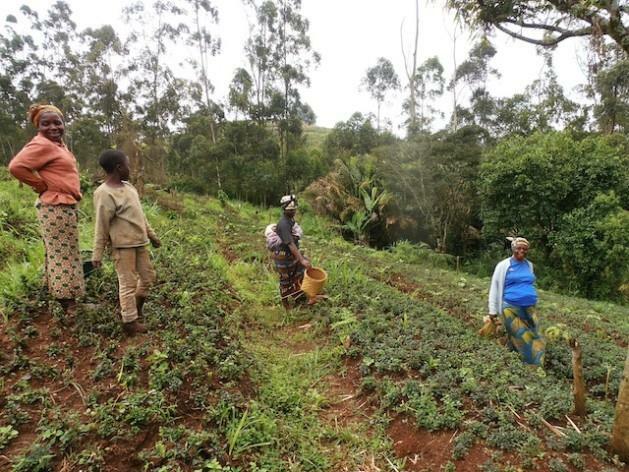 The book specifically explores the drivers behind the agricultural expansion and addresses ways to minimize and mitigate its impact on biodiversity. Epanda Manfred, African Wildlife Foundation coordinator Cameroon, presenting his paper at CBFP meeting. In Cameroon for example, the Dja Forest Reserve in the South of the country is threatened from an expanding rubber plantation. 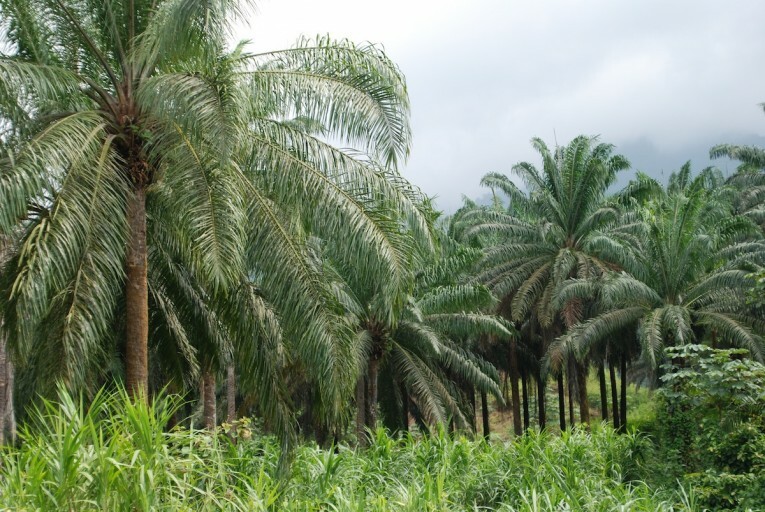 Similarly, the Ebo Forest in the Littoral region of Cameroon is also facing challenges from growing palms plantation. The Ebo Forest is located less than 150 kilometers from the capital of Cameroon, Yaounde and even closer to the economic capital, Douala. The growing urban population in both cities are threats to the forest. Similar to the Korup National Park and the Dja Forest Reserve, the Ebo is also home to a wide variety of wildlife, including the rare Nigeria-Cameroon chimpanzee and the drill (Mandrillus leucophaeus), a highly endangered baboon-like monkey that, until the 1980s, scientists had written off as extinct. The conservation actors at the panel discussion called for an integrated cross-sector approach to national management which marries development and conservation needs by building bridges and linkages between protected areas, spaces designed for production, infrastructure and mining activity. The concept of protecting of Congo Basin should also include opportunities for growth and job creation. Conservation and development are closely linked and not conflicting concepts. Thus conservation projects should be tailored and harnessed to provide solutions to development and employment challenges,” says Andreas Athanas, Program Design Director at AWF. Experts agree transparency must be the watchword in the conservation and forest management industry in coming years to bolster and foster trust among stakeholders. “There is a need to build a permanent platform for inclusive dialogue between the states, the private sector and other actors to create an enabling environment and ensure transparency,” Athanas said.